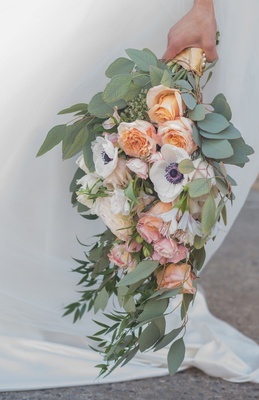 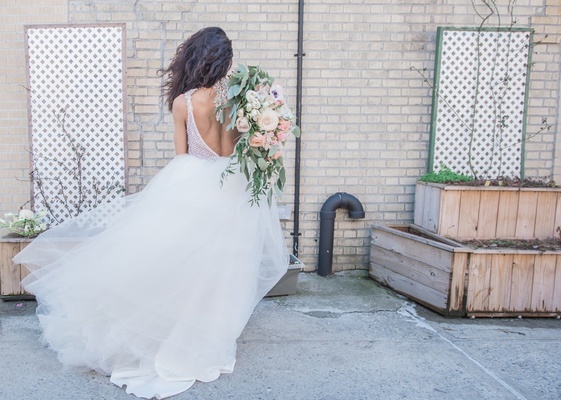 With the various old-fashioned and frankly, sexist, traditions that have been involved in weddings for centuries, some brides struggle to showcase their femininity without feeling like they are compromising their true self. 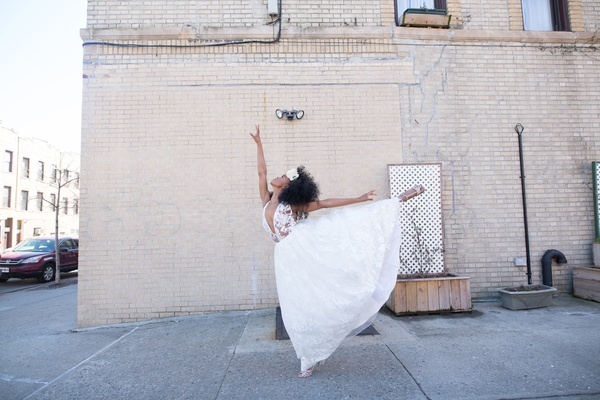 Ballet has been an art, skill, profession, and hobby that both celebrates a feminine aesthetic while also requiring great physical strength and mental fortitude to perform. 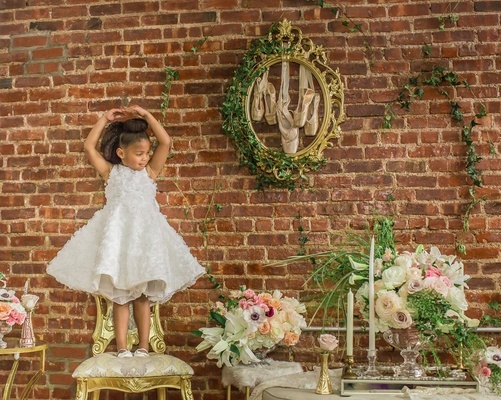 Perhaps that’s why the creative team behind this styled shoot elected to look towards ballet in a session that not only included two model brides, but also several darling young children serving as flower girls. 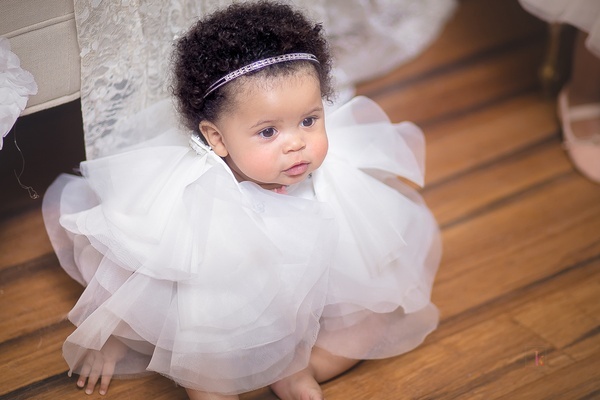 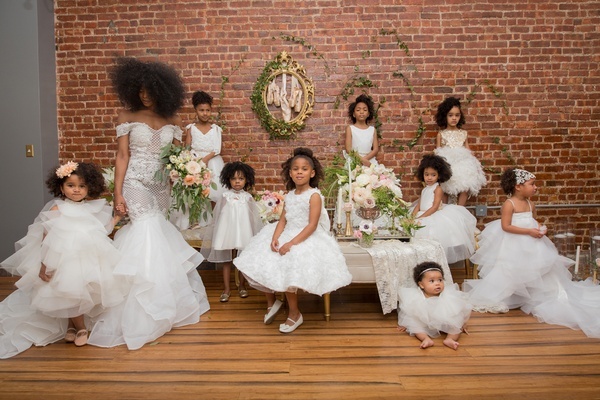 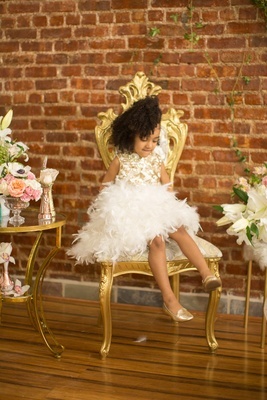 “We wanted to show that the strength of a woman starts at a young age, which is why we incorporated these adorable little ladies into the shoot as well,” explains the planner. 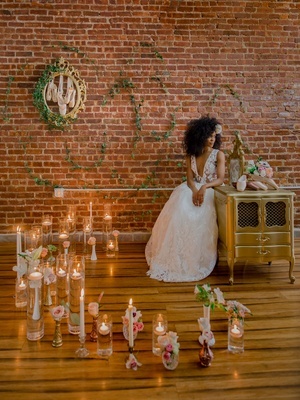 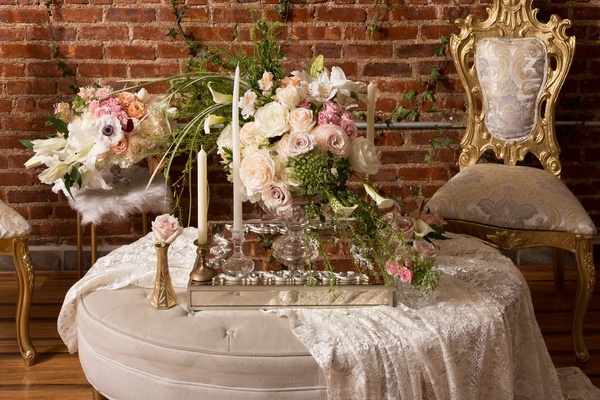 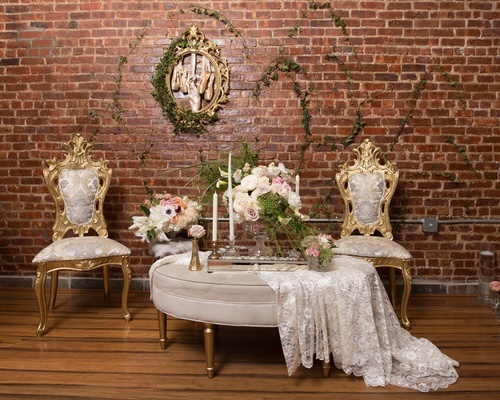 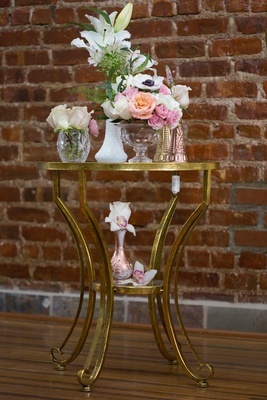 Largely shot against a brick wall in the salon that provided the dresses worn by the girls and models, vintage-inspired furniture paired beautifully with blush, peach, and white florals. 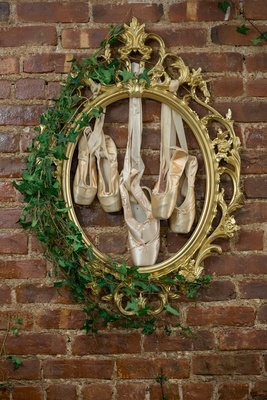 A gilt frame accented with greenery displayed four pairs of pointe shoes. 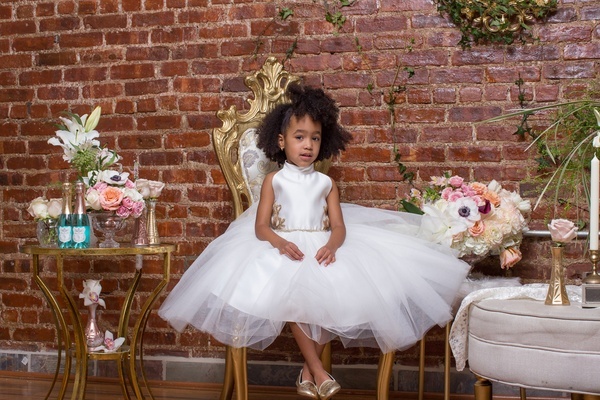 As precious as the flower girls are, the model brides both exuded free-spirited beauty and romance in each of the fashion-forward dresses they donned for the shoot. 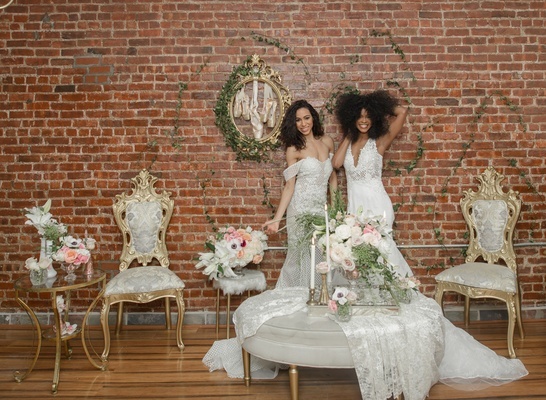 “Our goal is to inspire women to be as beautiful inside as they are on the outside,” shares the event designer. 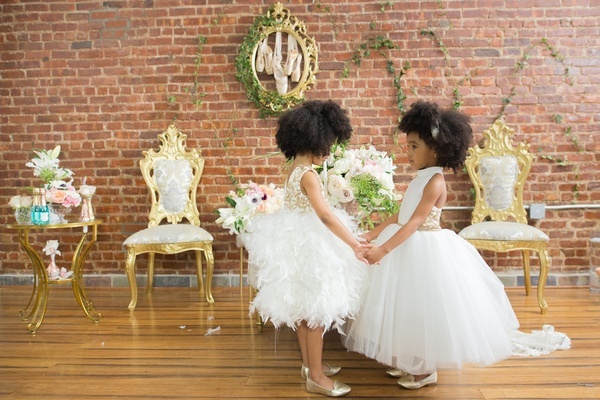 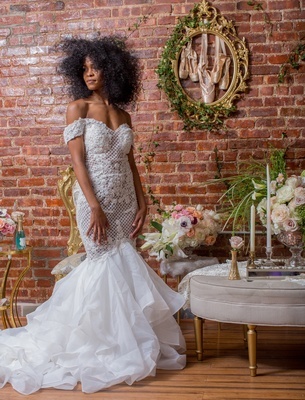 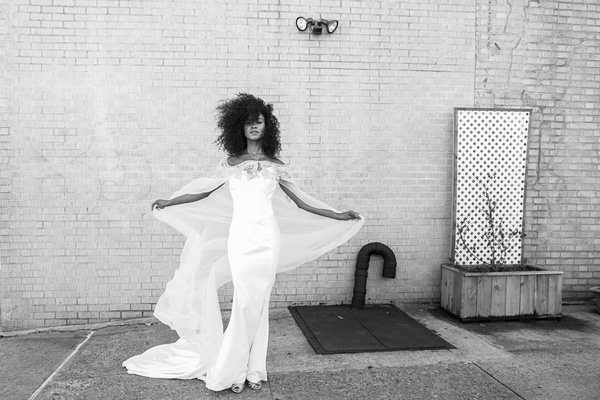 “The gowns embody sexiness and confidence, which any bride can have on her wedding day.” Kesha Lambert Photography beautifully captured the spirit of both the young girls and the women. 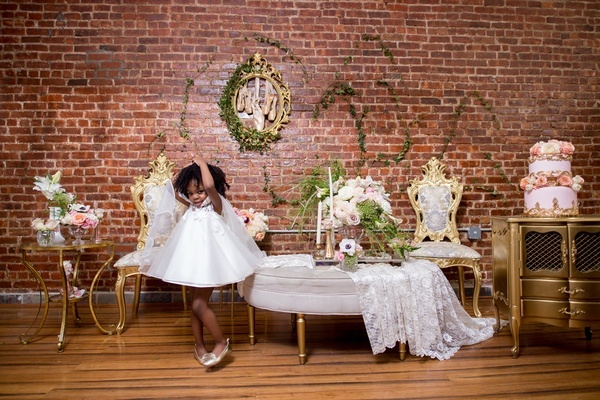 The flexibility of ballet is not required as long as a bride feels that inner strength on the big day. 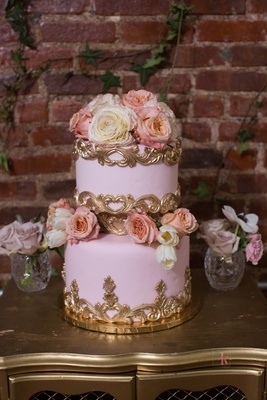 Even the cake is luxurious in its femininity – the pale-pink buttercream frosting was adorned with regal, golden embellishments and topped with fresh flowers. 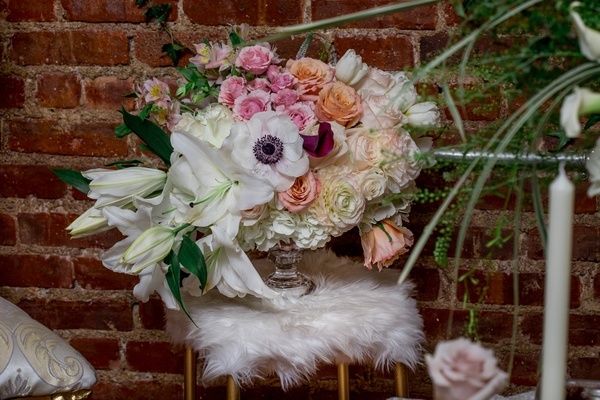 While the blooms are primarily peach and white, each flower also has just a hint of pink at the end of the petals.